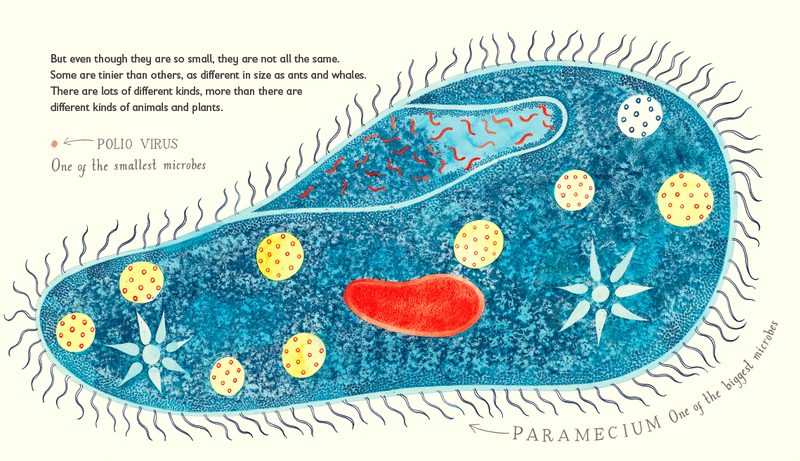 From books on microbes to megafauna, we were blown away by the number of beautiful and inspiring STEM books published for kids this year. As we dig into research for every one of our apps, we keep our favorite kids books nearby to inspire our work. We're always surrounded by hundreds of great ones which makes picking favorites a tricky task. At least in this case, we could narrow the list to ones published this year. Every book we’ve chosen here is also packed with interesting facts and gorgeous illustrations. They've fueled our curiosity and we hope they’ll do the same for you and your kids. The Earth and I by James Lovelock, et al. This illustrated collection of essays is an eye-opening look into how the Earth came to be, how it’s changed throughout history, and what the future holds for our home planet. Lovelock invited 12 scientists to each contribute a chapter. The topics covered include the scale of the universe, which uses an awe-inspiring illustration of an ant on a football field to scale the nucleus of an atom; an overlook of the Earth’s periods and epochs; and walkthroughs of how global warming, an increase in consumption, and human life, in general, are impacting the Earth. The Earth and I pairs wonderfully with our app, The Earth. 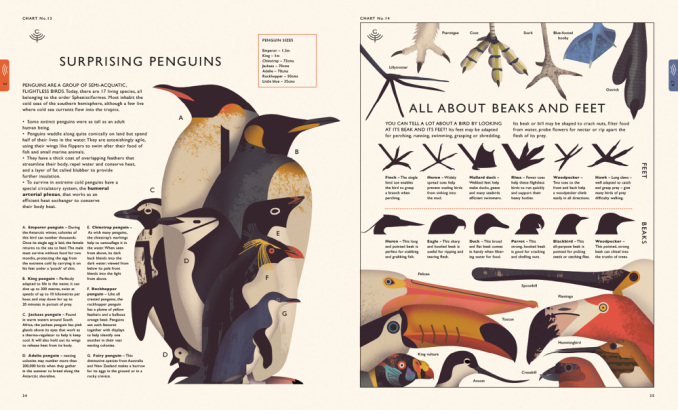 The beautiful charts that make up this book teach kids a wealth of knowledge about wildlife. 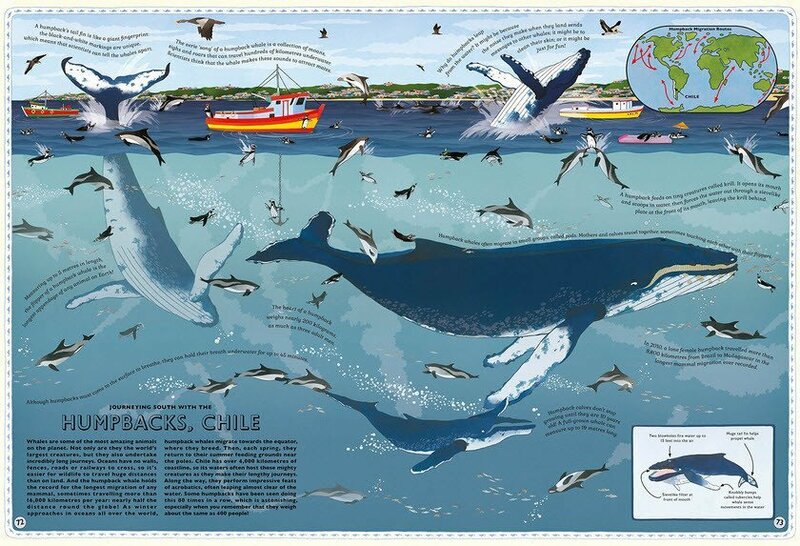 Each illustrates how animals exist in their natural habitats: the various ways animals adapt to their environments to survive, how they work to find food or coexist in their group, and much more. If your kids enjoy the illustrations in this book, they might also like our app The Robot Factory, also with artwork from Owen Davey. We sometimes think germs or bacteria are “yucky,” but this book does a wonderful job of introducing kids to the idea that not all germs are bad. Davies walks kids through the numerous ways microbes can look, how they move and grow, and what they’re capable of, including turning food into compost and helping to make the air we breathe. If your kids enjoy seeing invisible forces made visible, then they might enjoy exploring our Weather app. We featured this captivating collection of anecdotes from astronauts in an another post — it’s one of our favorite space books of the year. 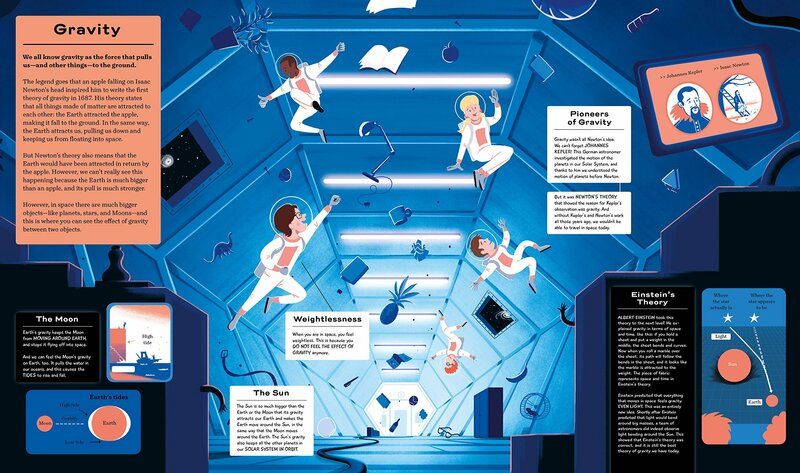 Each astronaut shares the quirky and humorous lessons they learned while in space, such as how to sleep in zero gravity or aim your sneezes during a spacewalk. Kids will get a laugh out of some of the stories while learning a plethora of cool facts about space. 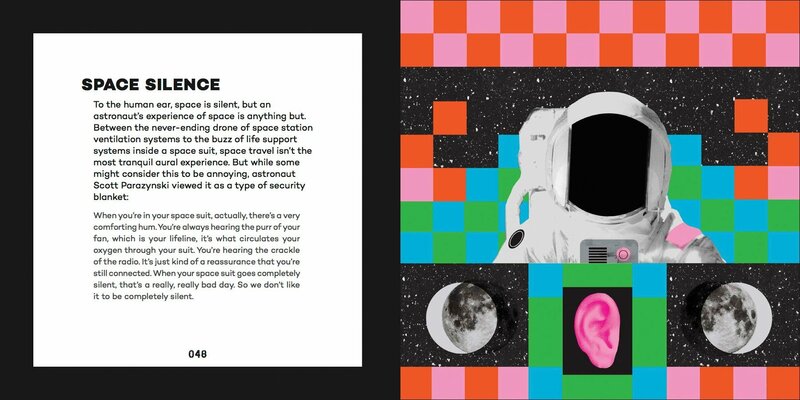 This book pairs well with our app, Space. With whimsical illustrations and easy-to-follow text, this book gives kids a fun and informative look into the fascinating world of bugs. 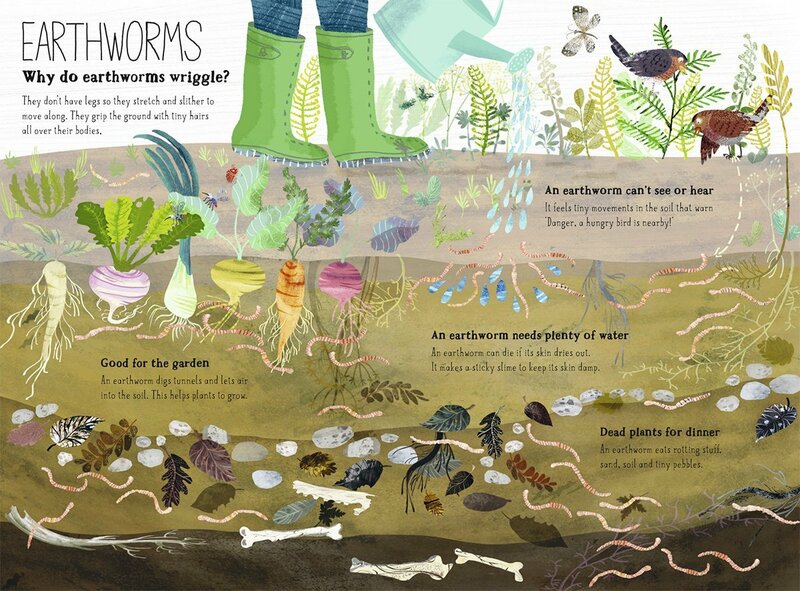 Kids will learn how earthworms can move around without seeing or hearing, how the praying mantis got its name, and many more facts. We loved Professor Astro Cat’s first adventure, Frontiers of Space, so we weren’t surprised by how awesome the follow up is. 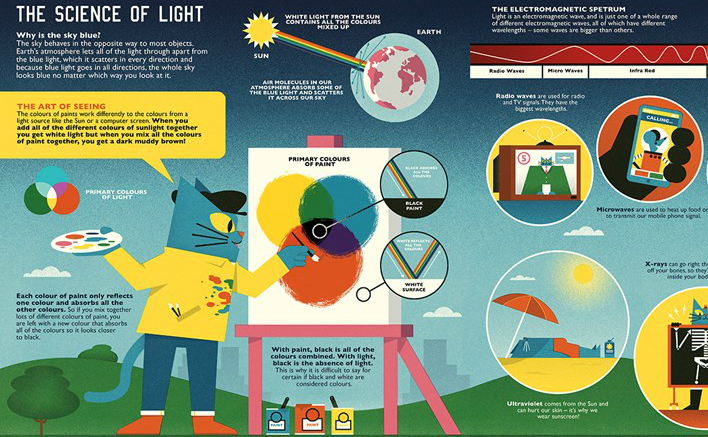 Professor Astro Cat’s Atomic Adventure is a great introduction to physics, covering a range of topics from force and motion to atoms and molecules. Plus, it answers a lot of the questions kids already ask such as, “How do planes stay in the air?” and “Why is the sky blue?” Like the first book in the series, Atomic Adventure is filled with engaging illustrations and interesting facts. If your kids love this physics-based book, they’ll love our Simple Machines app. 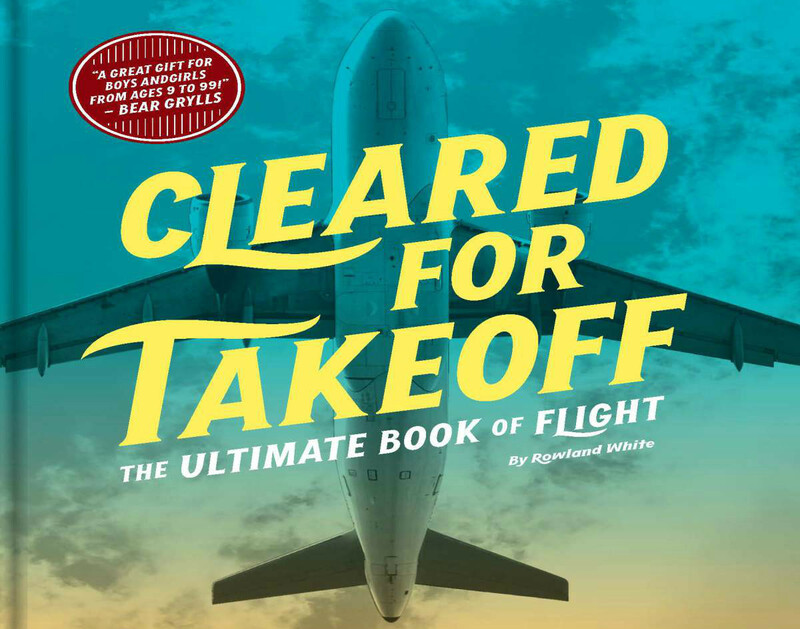 Cleared for Takeoff is an impressive collection of stories, diagrams, and timelines about everything aviation. The book starts with the story of Icarus, then walks readers through the historical and future uses of aircraft, while taking time to tell stories of exciting moments in flight, dangerous missions, and other anecdotes. From cargo planes to spy planes, this book truly is the ultimate guide to flight. If your kids are impressed by feats of engineering, then they’ll love learning more about them with our Skyscrapers app. STEAM Kids by Anne Carey, et al. 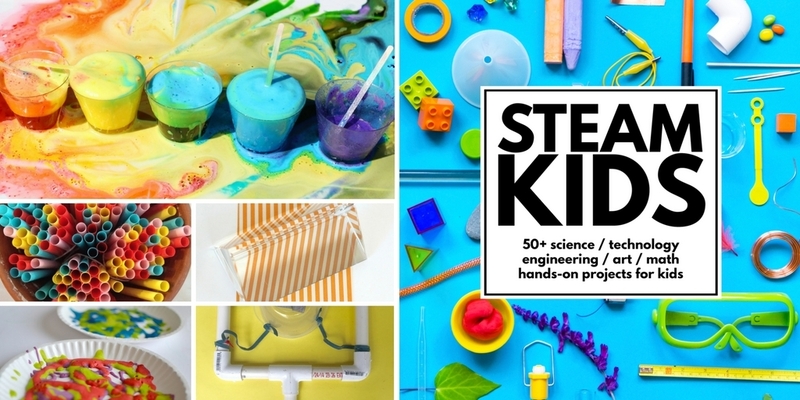 Fill the weekends with fun STEAM projects and experiments. This book provides a year’s worth of activities (one for each week) for ages 4-10, with each activity rated for difficulty. Kids get to build a slingshot out of a PVC pipe and create their own mandalas after going on a nature walk. STEAM Kids puts curious minds to work with hands-on activities. This book pairs well with our app, The Infinite Arcade. 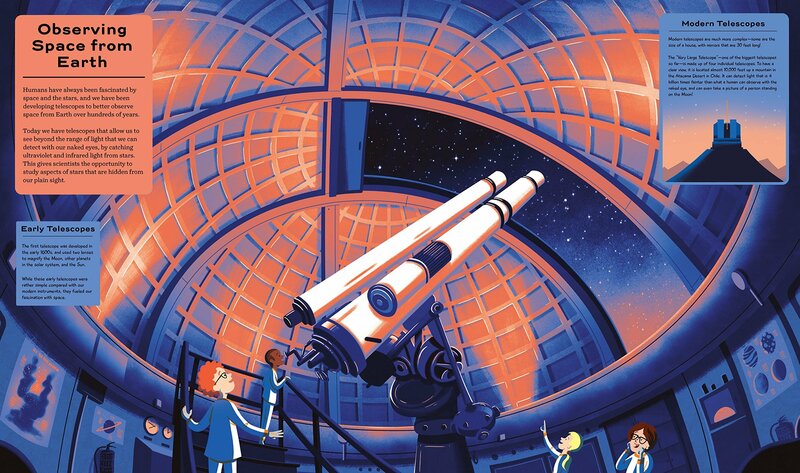 Highlighting 50 women in STEM, from Hypatia in the 4th century to Maryam Mirzakhani in the 21st, Women in Science is an incredibly important book that celebrates the achievements of these bright and notable women. The biographies are inspiring, and the accompanying infographics, trivia, and illustrated glossary are engaging. If your kid is inspired by Women in Science, you can support their interests with Tinybop Explorers. Destination: Space engages readers with the awe-inspiring history of our universe and brings us up to the space missions of present day. The book doesn’t gloss over tough topics either: dark matter, the big bang, and Einstein’s theory of gravity are all explained. 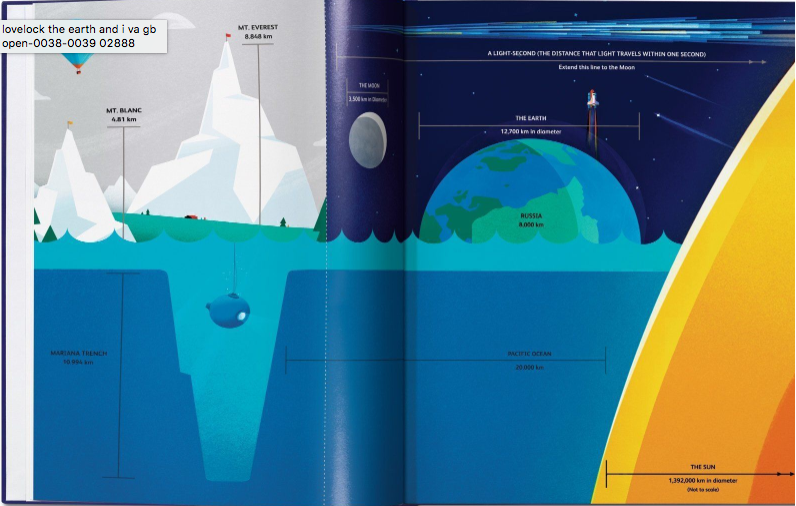 If this book inspires a curiosity for space, download our app Space. Focusing on the Northern Hemisphere, this wonderful addition to a kid’s library features 80 different animals, including red pandas, arctic foxes, black swans, and monarch butterflies. The stylized illustrations are modern, beautiful, and accurate, showing how animals look when poised for action or reclining. Kids learn about the habitats, behaviors, diets, and other characteristics of each animal. If your kids like learning how animals move, eat, and breathe, they might love our next app, Mammals. Sign up here to find out when it's ready to play. Image from Du Iz Tak? 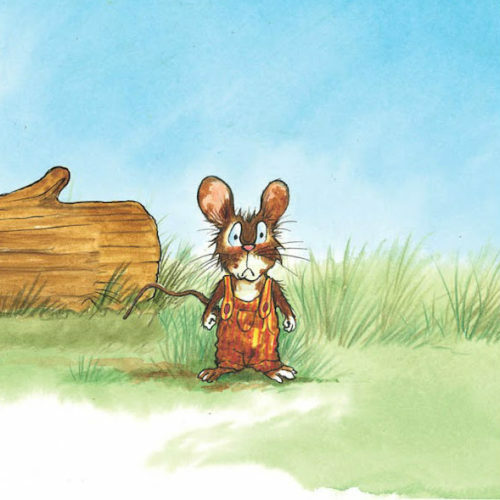 With an invented language and simple, beautiful illustrations, Du Iz Tak? 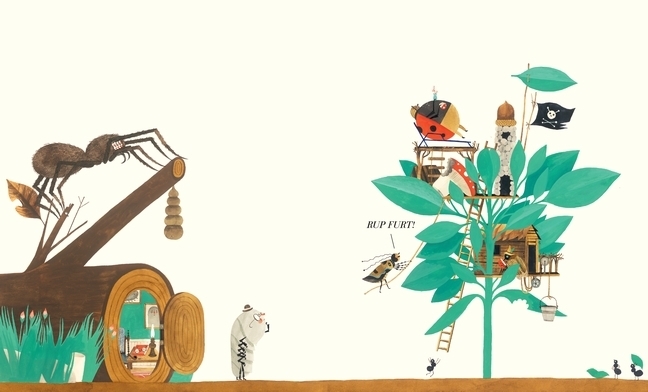 shares the story of a group of insects as they discover a new sprout. Visual cues help decipher the nonsensical dialogue and small changes in the illustrations of each page introduce readers to the natural processes of growth, transformation, and decay. This book pairs well with our app, Plants. 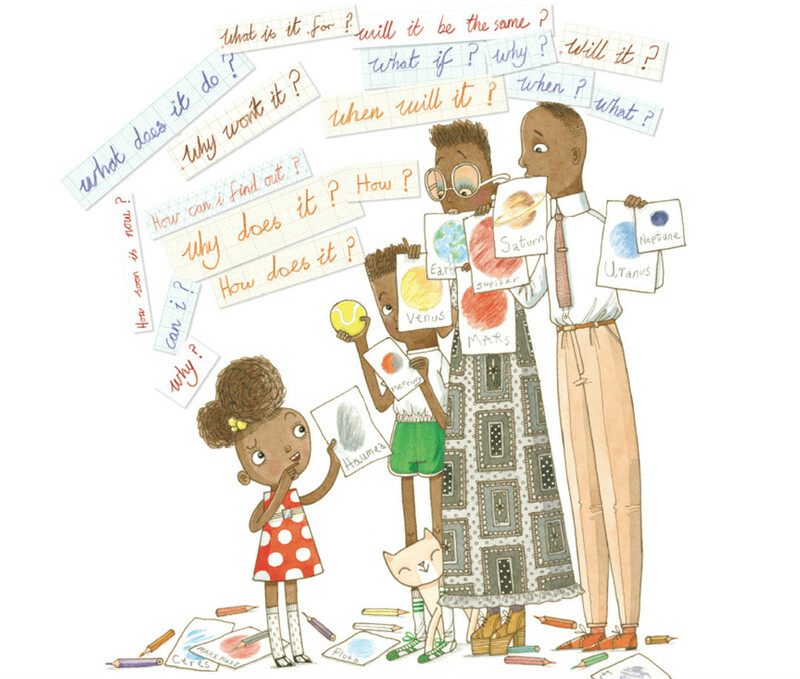 This whimsical, yet powerful book tells the story of an insatiably curious girl, named Ada Twist, who loves science and experiments. While her hands-on approach sometimes gets her into trouble, Ada learns that not all questions have answers, but instead lead to more questions. 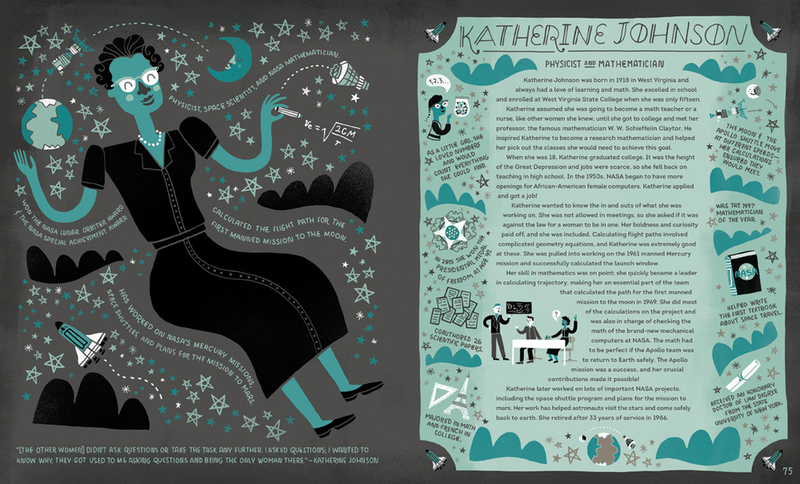 Inspired by Ada Lovelace and Marie Curie, this story will encourage kids to never stop learning, experimenting, and asking “Why?”. This book pairs well with our app, The Robot Factory. 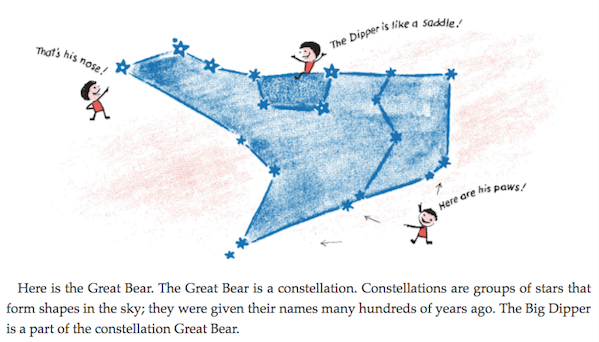 Since its first publication in 1954, Find the Constellations has given kids the ultimate guide to observing the sky. The 2016 release features new scientific information and an update to the planet finder chart, which now includes locations through 2026. Filled with sky charts and diagrams, this classic book helps kids recognize stars and find constellations. From the migration routes of humpback whales in Chile to the hunting habits of Siberian tigers in Russia, this book takes kids on a global adventure to learn about 30 animals. 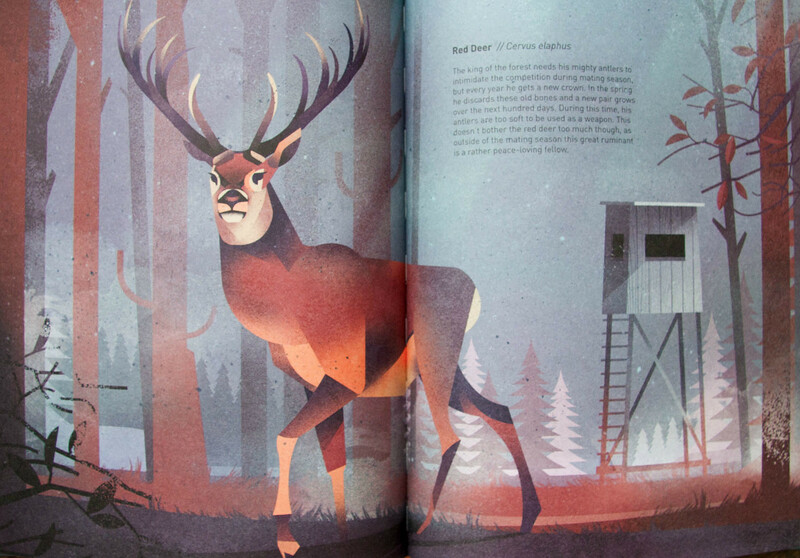 Each page is filled with colorful illustrations, as well as trivia, maps, and details highlighting various characteristics of each animal. If your kids enjoyed traveling the world to see various animals, they might love our next app, Mammals. Sign up here to find out when it's ready to play. 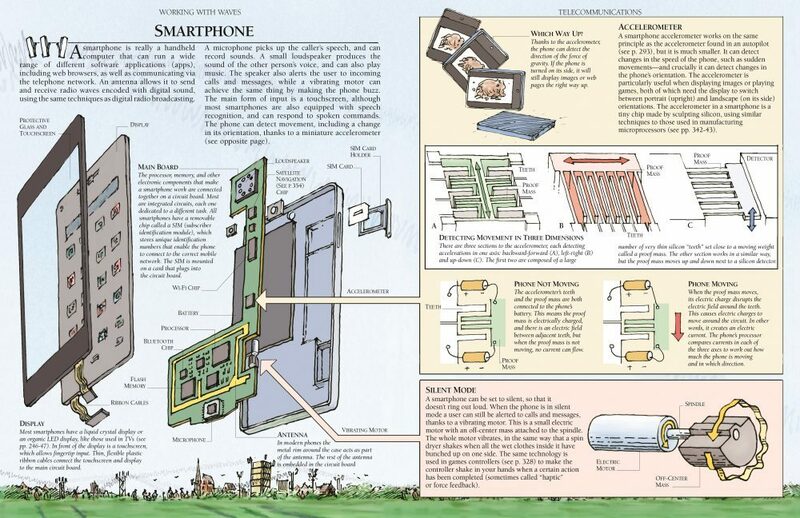 In this fascinating book, David Macaulay explains simply how things work, “from the simplest lever to the smartest phone.” Each page features diagrams, schematics, definitions, and explanations for even the most complicated processes. First published in 1988, the updated version features the addition of new technology, including 3D printers and WiFi. This book pairs well with our app, The Everything Machine. If you enjoyed this post, you'll love our occasional newsletter. It's full of wonderful things for kids. Read previous newsletters and sign up here. Thanks!